How can we improve at connecting? I have been dating a man who I love tremendously for 5 months. We have definitely had a very strong honeymoon period and are now facing each other and seeing what’s real. 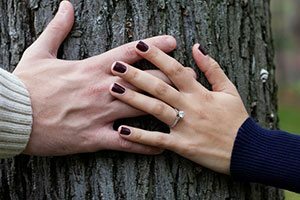 What do you propose is the first step toward improving at connecting with someone I’d like to create a very strong relationship with? I suppose being honest about what I need and what I want is one step. Prior to this relationship I was in a long-term (12 years) relationship with someone who I also loved but for reasons that I’ll say were “the selfish 20’s thing” we couldn’t see how to learn together. We had used mechanisms like defense in conversation and I was a monologuer, while he was often passive and silent. I was unhappy and have been putting a lot of energy into this new relationship and how to change the way I approach obstacles. My new boyfriend is an absolutely intelligent man who is seeking his “soulmate.” When I hear this word, sometimes, I feel alienated. Yet under this feeling lies the same desire. We often have open discussions and want to apply healthy applicable patterns onto our conversations to get a deeper connection. I sometimes lose sight on how to keep a connection because I get caught up in building my life as well. He asks that we be patient and wise and not just jump into thinking that “this is the one.” I agree. I also wonder if there is such a thing as finding that “soulmate” that instantly understands everything you understand. It seems to me that he wonders the same question. I would love your advice on this scenario. Live the question, and discover each successive answer. Deepening the meaningfulness and “I feel like a soulmate” quality of relationship takes place over time, not in an immediate initial instant. It happens as we move through barriers that hold us back, through fears or doubts (about the other person or about ourselves), and through whatever challenges come up that we, with skill and vision, can face and overcome (hopefully, together). Deepening connection and feeling like soulmates, then, grows over time… as a direct result of our own strength as individuals to move through our own personal stuff and grow, to heal and become more whole, to expand our hearts and minds, and, yes, even to tap in to the spiritual side of love. We call it doing our soulwork. It’s not about “Is this the one?” It’s more about YOU BEING THE ONE. If you are open, courageous and persistent, overcoming challenges, using each problem, issue or upset as an opportunity for still further expansion, then you will find, one day, that it will be obvious that you are soulmates, and that you have truly co-created the relationship of your dreams… even beyond what you can dream of now. I don’t think a soulmate ever will understand everything you understand, or vice versa. It’s not about homogenization, becoming the same. It’s about continually expanding. And differences are a fuel for expansion. ← Can we salvage our marriage?